While Shaok has spent the most part of his career honing his skills with a lightsaber, his connection to the Force is not to be underestimated. He is highly skilled in telepathy, being able to infiltrate the minds of others and understand their thoughts and emotions. His proficiency with the ‘Force Cloak’ ability is held in high regard, also having a decent amount of experience with the so called ‘Mind Trick’. 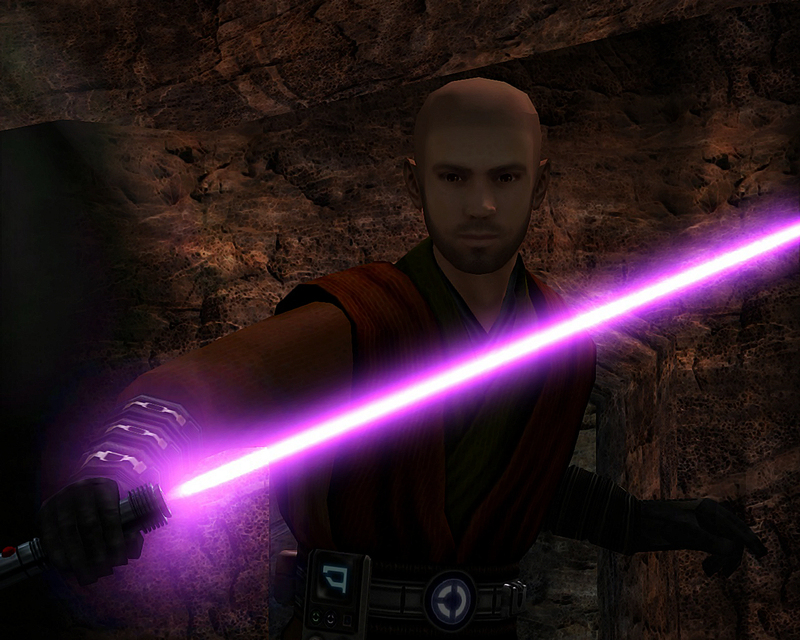 With the possession of such a skill set, he falls into the bulk of front-line fighters of the Jedi Order, but can also carries out dangerous missions, including stealth and infiltration. Shaok was born 310.29 ABY, to two human parents in the city of Coruscant, in which he grew up. He grew up mostly in the presence of his mother – Isalenia, because his father – Kharok was focused on his political career. Isalenia was a teacher before she gave birth to Shaok, she stopped teaching at the local university and started homeschooling Shaok, because Kharok’s pay could support the three of them. Isalenia always had a passion for horticulture, but she never had the chance to follow it. In the time she spent with her son, she would often show him pictures of flowers and pretty gardens fascinated by their beauty, saying ”Life is beautiful, cherish it and make life better for you, and for those around you”. At the age of 4, Kharok began to feel ill, he thought it was just a minor sickness, Shaok and Isalenia kept insisting that he should visit a doctor, but he denied it saying its gonna go away. Eventually the disease got to Kharok and he passed away. Even though Kharok didn’t spend too much time with his son, Shaok loved him with all his heart and it was broken when his father died. At the time Shaok didn’t know how to deal with it, but only time heals wounds like that, even though he could not truly accept it, he probably will in the future. With his father gone, there was noone left to financially support the family, so Isalenia had to go back to her job at the university. Two years have passed, Shaok and his mother were out in the city, when they stumbled upon a Jedi, who saw force potential in young Shaok. He offered to run some tests on him at the Jedi Temple, which he and his mother agreed to. At the Temple it was confirmed that Shaok indeed was strong in the force, they wanted to transfer him to Alzoc III, which partially was inevitable. Even though he had to part ways with his beloved mother, he will always remember her teachings and her words, she told him that she and Kharok will always be in his heart, wherever he might be.